Tegan and Sara are following in the footsteps of their fellow ’80s-retro-pop contemporaries Chvrches and taking to the page of Archie Comics. The Archies’ fifth issue will feature the Quin sisters on the cover. The cover will be released in different versions; the group posted two on their Instagram. Based on information from MTV News, it seems like Tegan and Sara, who are espoused Archie Comics fans, are slated to have a pretty big role in the issue: They are supposedly “there to help Archie, Betty, Veronica, Jughead, and Reggie navigate their first major crisis. 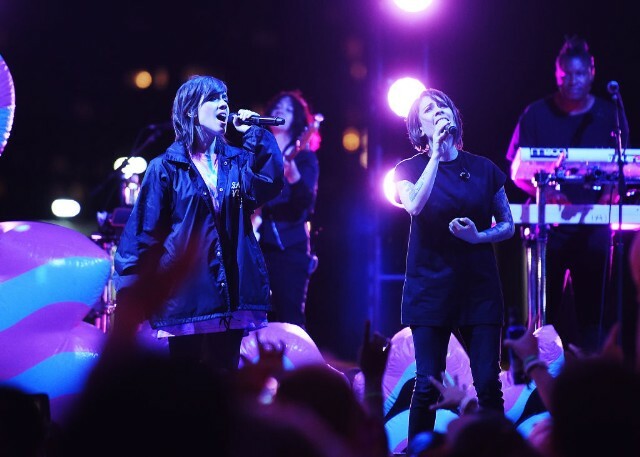 And maybe…become a little closer as bandmates in the process.” Check out Tegan and Sara’s announcement below.